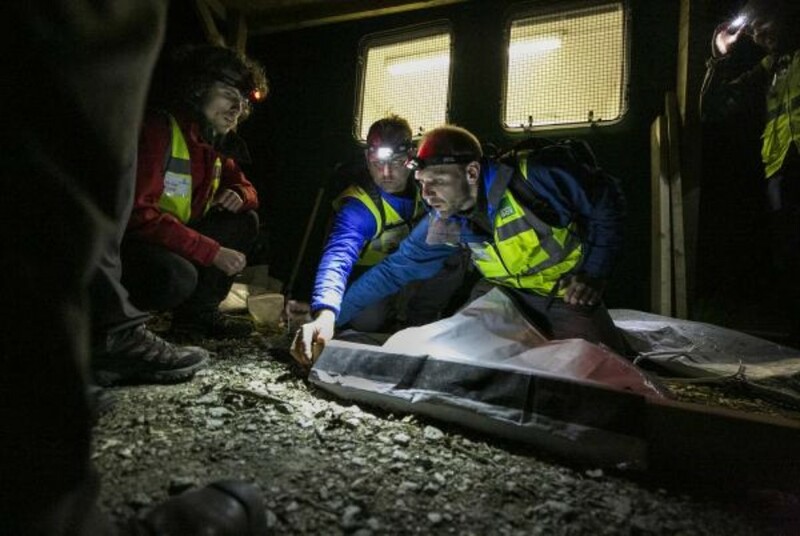 The last three months have been some of the most busiest months for ShelterBox. Earthquakes, a Tsunami and a Volcanic eruption, have all played their part in one of our largest deployments to Indonesia. Friday 28 September, saw the people of Sulawesi look on in horror as giant waves crashed onto their shores. First the island was hit by a 7.5 magnitude earthquake. Then a tsunami tore through the region, flattening everything in its path and turning thousands of homes to rubble. 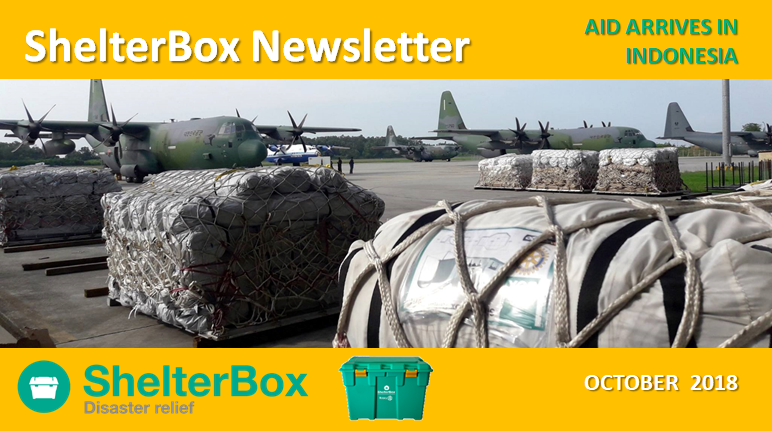 Remembering too, that at the same time, ShelterBox was deployed to the Philippines, Kenya and Chad, whilst preparing for the Syria winter deployment with our partner organisation "ReliefAid". 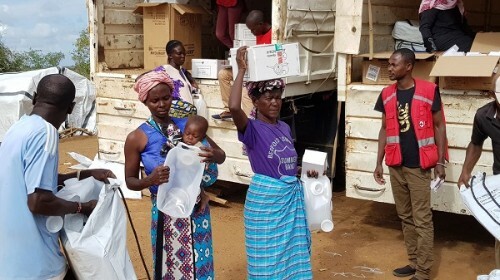 Families have been left devastated as they struggle with the catastrophic aftermath, but ShelterBox will do all it can to help and support these families. We are proud to be working with our incredible Rotary colleagues in Indonesia, reaching out to the families who need us the most. We are currently working to help families living in remote villages outside the main city of Palu on Sulawesi. We are concentrating on helping the most vulnerable families in those communities whose homes were completely destroyed by the earthquake. We are focusing on communities in remote villages because they are hard to reach and have been receiving less attention and support. They have been coping on their own until now. The situation in Sulawesi is still complex and challenging. Nearly 70,000 homes have been damaged, as well as schools, offices and shops. Many have been completely destroyed. Getting access to the more remote villages is still extremely difficult. Communications and power are still down in many areas. We have a team in Jakarta and in Palu. We are coordinating with national and local government authorities. This is very important to ensure we are providing the right items that affected families need, and to make sure we are reaching vulnerable families who would not get support otherwise. In Sulawesi, communities are still struggling after a devastating earthquake and tsunami left nearly 200,000 people with nowhere to call home. We have teams in Jakarta and Palu, helping vulnerable families in the more remote, hard to reach communities. Working with our incredible local Rotary partners, we are speaking to village leaders to understand what families need and coordinating with the Indonesian government. Last month Typhoon Mangkhut ripped through the Philippines. It's high winds and torrential rain caused thousands of families to lose everything. Thanks to your generosity, we have supported a total of 1042 families across three of the most badly affected areas. 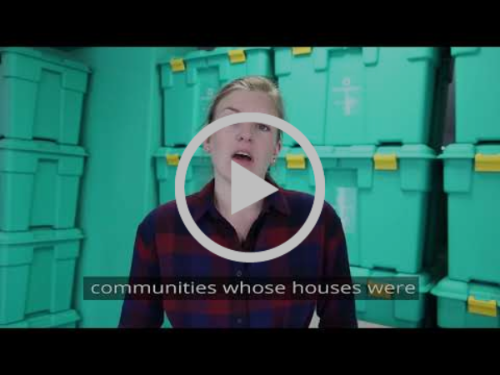 A ShelterBox team of New Zealand SRT, Sally Fletcher from Auckland, and members from Sweden and the UK deployed swiftly to the Philippines to start helping those families who had lost everything. 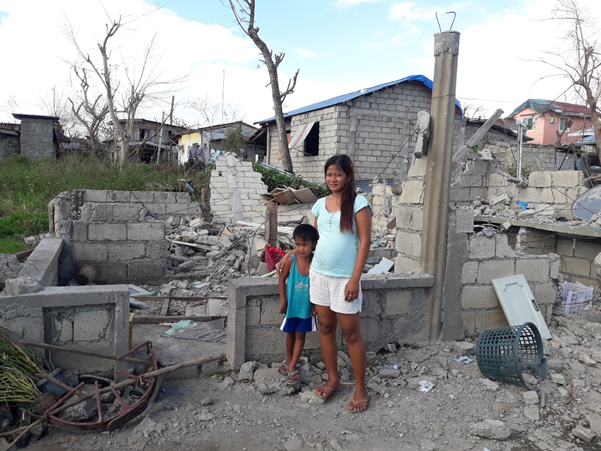 Pregnant mother of three, Jini Tarampi seen above, stands with one of her children on top of the ruins of what once was her home. Her house was destroyed by super Typhoon Mangkhut in the northern province of Cagayan, Philippines. Thousands of people were evacuated amid warnings of 6m (20ft) storm surges, including those who have been displaced several times due to the monsoon rains in July and August. The Philippines is one of the world’s worst disaster-affected countries. We have responded there 24 times in 13 years - more frequently than any other country. 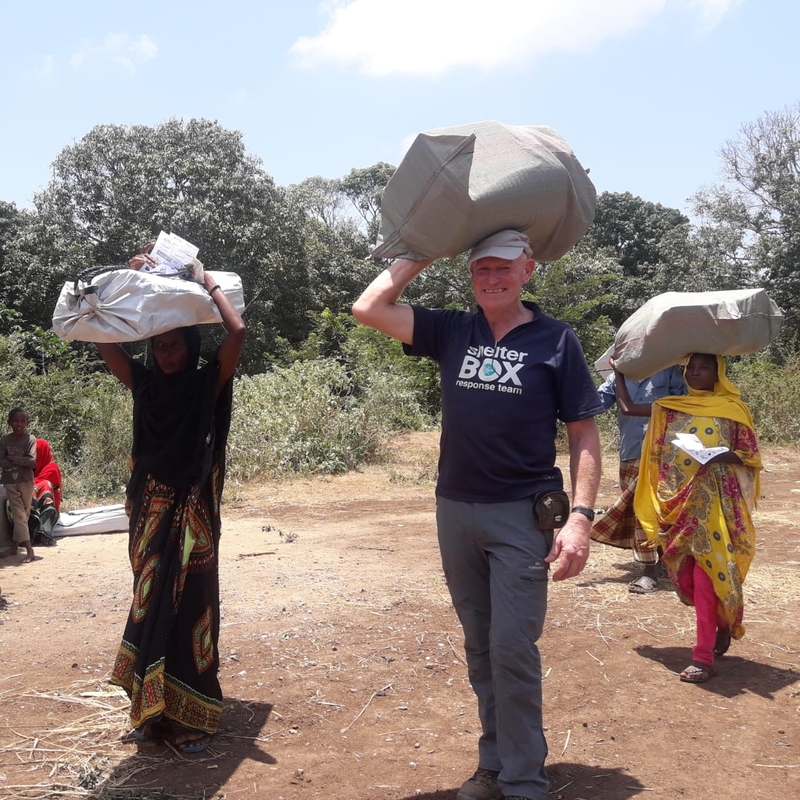 Many of you will know that Jimmy Griffith and Arnold Kelly who are both ShelterBox New Zealand Response Team members, have recently been deployed in Kenya. Jimmy (pictured above) and Arnold (pictured below) sent us some photo's which we have shared below. They tell us that the distribution of Aid is now under way and progressing well. To date we have distributed to 268 households in Kenya, with further distributions to continue at around 60 households per day. Due to difficulties around the disposing of the plastic bag the mosquito nets come in, they have not been included in the first distributions. The team are continuing to look at alternative plans for this. 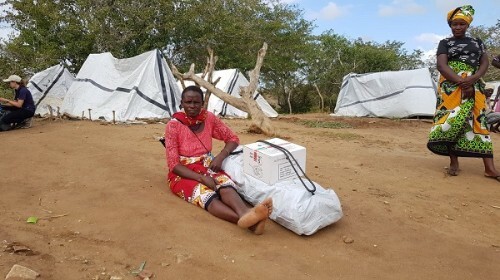 Alongside distributions, training is being done with the Kenyan Red Cross on the use of a ShelterKit. 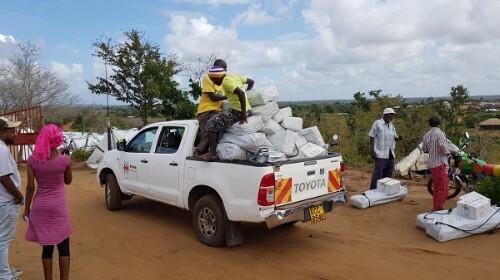 Our Teams have now returned having completed their post-distribution monitoring with the Kenyan Red Cross. 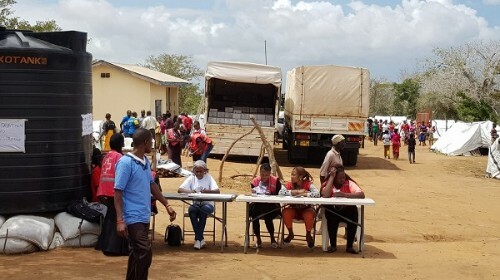 More than 290,000 people were forced to leave their homes across Kenya, after heavy rains and flooding washed away whole villages. The devastating flooding which was caused by intense downpours in the highlands, swelling the rivers as they made their way towards the sea and bursting the banks. Farmland was covered in a layer of silt. Goats and hens drowned and grazing pasture is now under water. Lives and livelihoods have been hit hard. We're working with local organisations and Rotary groups to understand how we can help provide emergency shelter to help families start rebuilding their lives. We're determined to help as many families as we can, in Kenya and around the world. Shine for ShelterBox is a wonderful campaign that is raising money to support those in urgent need in disaster zones around the world. 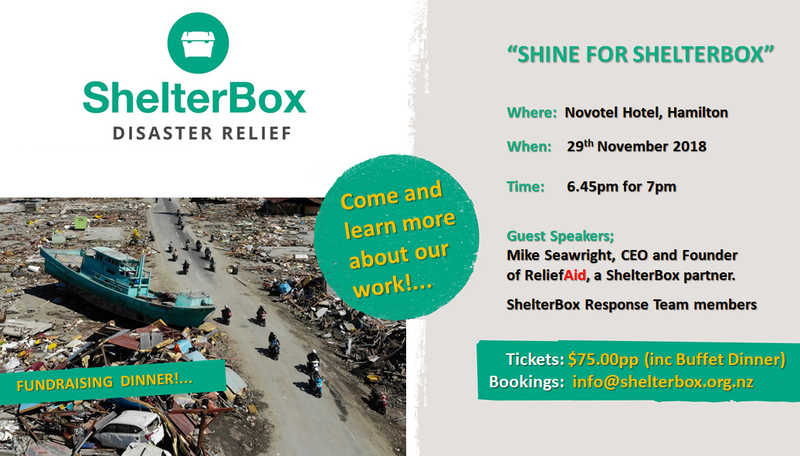 Another "Shine for ShelterBox Dinner" will be held in Hamilton, on the 29th November at the Novotel Hotel. Why not come along with your family and friends and enjoy a lovely meal, and learn more about the work of ShelterBox in Disaster areas across the world. Guest speakers will include Mike Seawright, the CEO of ReliefAid a ShelterBox partner, and members of our own Response Team. Tickets are available now - Phone: 021328084 for details. 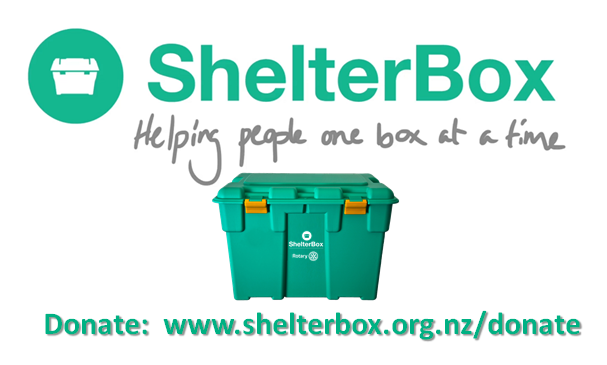 "Working together to leave no family without Shelter"
ShelterBox needs people like YOU!. 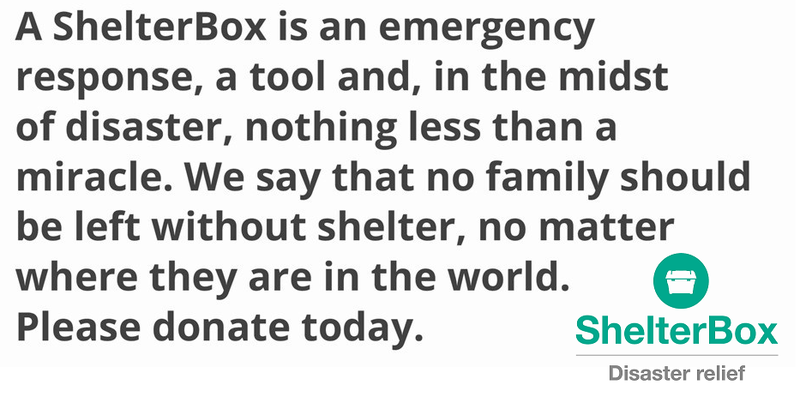 People who can provide the link between ShelterBox’s supporters and our donors — ordinary people who can spread the word about ShelterBox and its work in your community. People who can talk to their friends, schools, clubs, organisations and businesses about what we do. 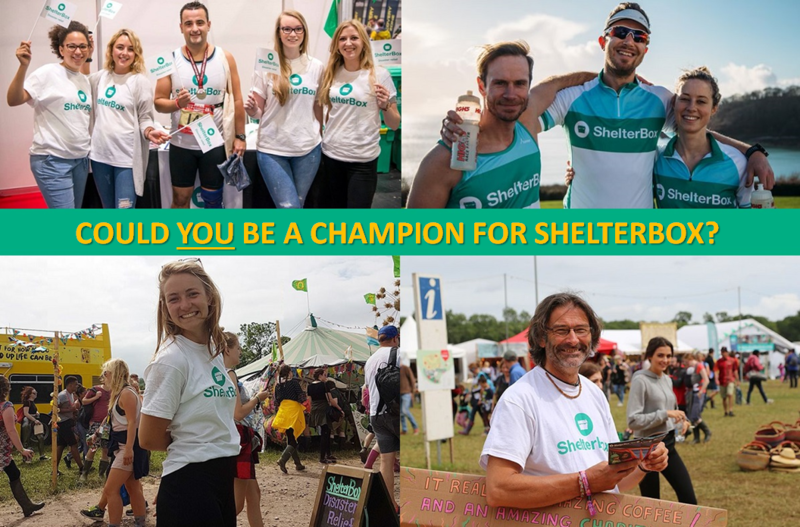 Creating awareness about ShelterBox and our work is vitally important and we need your help to get our messages out into the public domain. 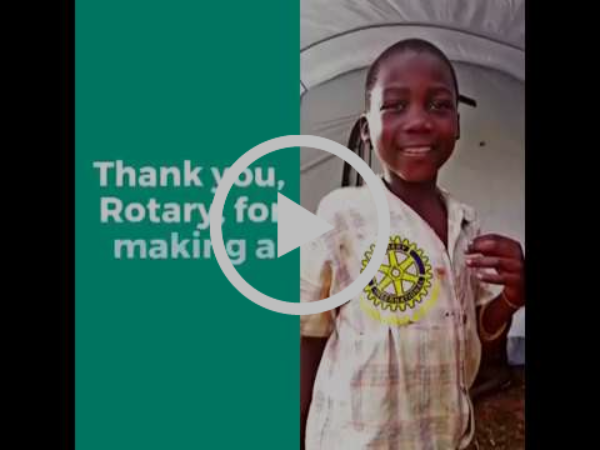 Thank you Rotary International for supporting ShelterBox from the very beginning. We are so grateful for this partnership that gives us the ability to help disaster-affected communities all over the world. We couldn't do it without you. THANK YOU! When disaster strikes, ShelterBox Response Teams play a crucial role in helping vulnerable families recover. 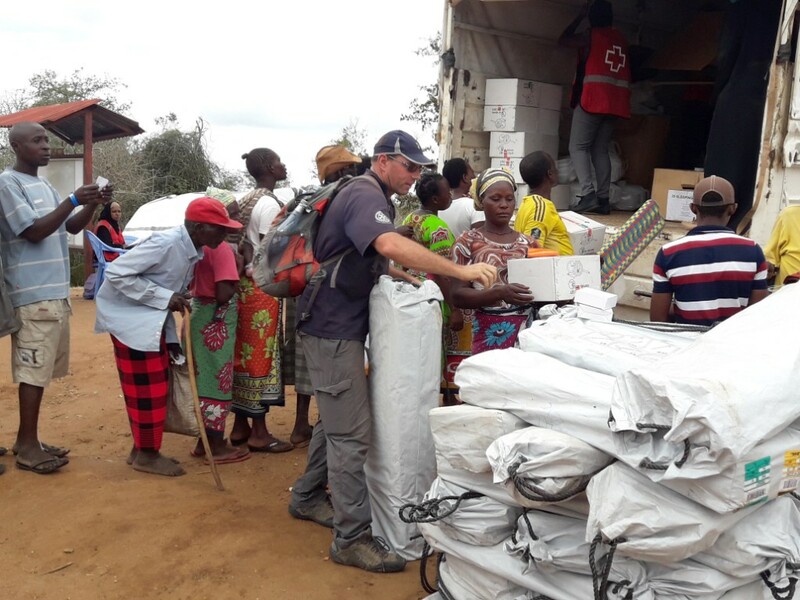 Following a natural disaster or conflict, our Response Team Volunteers leave their own families to travel around the world and deliver shelter, tools and other essential items to the families who need them most. The conditions can be very challenging. It can be physically and mentally demanding. Becoming a response team member is a huge responsibility, but it can also be incredibly rewarding. Do you have the skills, character and compassion to help us carry out our work? If so, apply to be a response team member today.